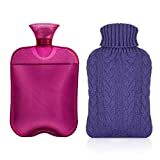 A hot water bottle is a bottle which has been filled with hot water. To prevent the hot water from becoming cold, the bottle is sealed with a stopper. It has been used to provide warmth to the body. In this process, the bottle is filled with hot water, and the person inserts it between the bedsheets before he or she retires to the bed. It is an excellent way of keeping warm during the night. That way, the amount of energy consumed in a bid to keep our houses warmth is significantly reduced. That is not all. 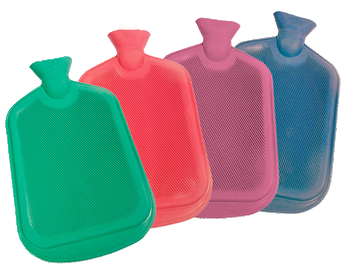 The hot water bottle is used in agriculture. As a conservation measure, when one is done with the hot water, there is no need of pouring it. The water can be used to water the plants. Hot water bottle has a medicinal value. For those suffering from sore muscle and cramps, they can use it to relieve pain. Additionally, when used at night, it can be used for cold therapy and protect our bodies from illnesses which are caused by the cold. Hot water bottle has been used for a long time to cure toothaches. For those who love camping, it can be used to keep them warm during the night. Using it is fascinating. In our homes, it can be used for decoration purposes. It can be covered using various decorative material and add to the beauty of our houses. During winter, a person can use it a pocket warmer. What the person needs is to fill a small bottle with warm water and put it in his or her pocket before starting the journey. That way, the person is in a position to keep warm throughout the day. For women, it can be used to cure menstrual cramps. It is a natural way which has minimal side effects to their bodies. Additionally, it can be used to relieve pain which is associated with arthritis. People with young children can use a hot water bottle to pay as they can enjoy the soothing effect for time. For those who keep pets in their homes, it can be used to provide warmth to them and in the process prevent them from contracting illnesses which are associated with cold. People need hot water bottles for emergency purposes. In case of a power blackout which results in loss of heat in our homes, these bottles can be used to provide the required temperature. When using hot water bottles, never sit on them. Additionally, the user should not lie on them. No one should exert excess pressure to the bottles when they are filled with the liquid since they can damage them. When using them, it is good to ensure that the user does not have direct contact with them. If this happens, then the contact should not last for mere than twenty minutes. Anyone with small babies under the age of three years should not use them unattended. This is meant to prevent burns and other injuries. What is more, people are not supposed to use rubber hot water bottles. Rubber contains some harmful chemical ingredients which might lead to allergic conditions.